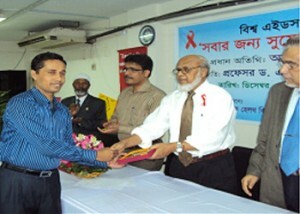 YPSA joined seminar and rally of World AIDS Day 2010 at the Bangabandhu International Conference Center premises. National AIDS/STD Programme and Save the Children USA jointly organized this program. Prof. Dr. A.F.M. Ruhal Haque, MP, Hon’ble Minister, Ministry of Health and Family Welfare attended Seminar on “World Aids Day10 at Bangabandhu International Conference Center at Dhaka.YPSA at presents this Seminar. Prof.Dr.A.F.M. Ruhal Haque, MP, Hon’ble Minister, Ministry of Health and Family Welfare have visited Stall on “World Aids Day10 at Bangabandhu International Conference Center at Dhaka. 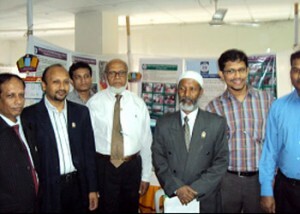 YPSA received crest on World Aids Day’10 Celebration program of Northern University Campus at Dhaka.